When Val Lewton was put in charge of producing low budget horror films at RKO, he had an amazing ability to bring out the best in both old and young talent. His film unit wasn’t cranking out poverty row programmers with cheap scares and rubber bats aimed at the kiddie. His 9 horror films were nightmare inducing adult entertainments that rivaled Universal’s best. The Body Snatcher could easily be mistaken for a Universal film since it stars Boris Karloff and Bela Lugosi. But it is far more sinister than the Abbott and Costello meet the monsters films that were the focus at Universal in the mid-40s. Val allowed these two to once more be sinister on the silver screen. Deep in Scotland a medical school is having usual problem of not enough cadavers for all the students. Dr. Wolfe “Toddy” MacFarlane (The Great Dictator‘s Henry Daniell) has a solution in John Gray (Frankenstein‘s Boris Karloff). By day Gray rides around town in his horse drawn cab. But at night, Gray drops by the cemetery and digs up the newest occupants. Gray isn’t a complete ghoul since he has a touch of a heart when he delivers a crippled girl to the doctor’s office. But the doctor claims he can’t do anything because he’s too busy with teaching. One night at a tavern, Gray tells the fine doctor that if he doesn’t operate on the girl, he will expose his dark secret. He says that in front of Toddy and his finest student and new assistant (Russell Wade). The doctor agrees to accept the little girl as a patient, but he needs a fresh body for the surgery. Now before you think this is a story about the redemption of Gray, he does something so chilling that you’re never going to root for him to turn over a new leaf. While Bela Lugosi is second billed in the credits, his role is brief as one of Toddy’s assistants at the med school. He visits Gray to find out more about the dark secret. I’ll keep their meeting a secret, but this was the last time that Karloff and Lugosi shared the screen and it’s a great scene between these two giants of horror. They are both on top of their game in the final face-off. 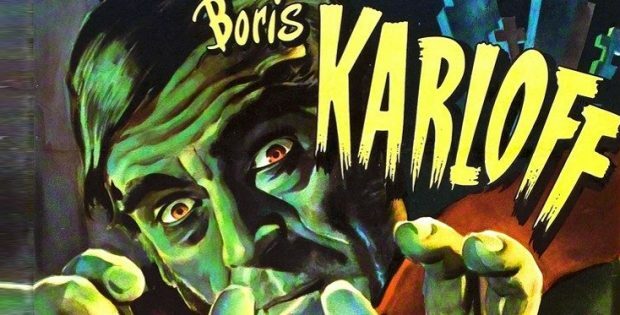 Scream Factory will be putting out a collection of other Karloff-Lugosi in June that includes The Black Cat, The Raven, The Invisible Ray and Black Friday. Val Lewton also found young talent when he put Robert Wise in the director’s chair. Wise had been an editor on Citizen Kane and took over directing Curse of the Cat People for Lewton. Now he had a film from start to finish and Wise delivers with visuals that create horror without being graphic. Even with a tight production schedule, the scenes and the production design don’t look rushed. The nightmarish moment when Karloff seeks out a body to help the little girl is a shot that proved Wise had an eye that would serve him well. Wise did win two directing Oscars for West Side Story and Sound of Music. It should be pointed out that The Body Snatcher is not a retelling of the true story about the grave robbing Burke & Hare. This is the sequel as originally written by Robert Louis Stevenson (Kidnapped) as a short story. This is also one of Karloff’s finest performance as she gets to show a full range of emotions without being covered in special effects make up. The Body Snatcher is a classic horror film in all respects. The video is 1.33:1 full Frame. The restored 4K transfer from the original camera negative brings everything into clarity. This shows best during a scene with the cab going down the street in the rain. The audio is DTS-HD MA mono. The levels are fine without any distracting pops and clicks. The movie is subtitled. Audio Commentary With Director Robert Wise And Writer/Film Historian Steve Haberman. Robert Wise talks about having to cut nearly 40 minutes off Welles’ Magnificent Ambersons which led to him having to direct a short scene with the actors for continuity. He explains how he took over the director’s chair on Curse of the Cat People. He gives a lot of tips to directors. He remembers Val Lewton. If you have Scream Factory’s Curse of the Cat People, you’ll hear a lot about that film as well as The Body Snatcher. You’ll Never Get Rid Of Me: Resurrecting The Body Snatcher (11:55) is historian Gregory William Mank discussing the background of the film. Shadows In The Dark: The Val Lewton Legacy (53:27) is the documentary that was part of the original Val Lewton boxset. It covers Val’s life and his glory times as a producer at RKO. Art Galleries (4:37) includes Posters, Lobby Cards and newspaper advertising. Still Gallery (5:28) has photos from the set. Scream Factory presents The Body Snatcher. Directed by Robert Wise. Screenplay by: Philip MacDonald & Val Lewton. Starring: Boris Karloff, Bela Lugosi, Henry Daniell & Edith Atwater. Rated: Unrated. Running Time: 77 minutes. Released: March 26, 2019.